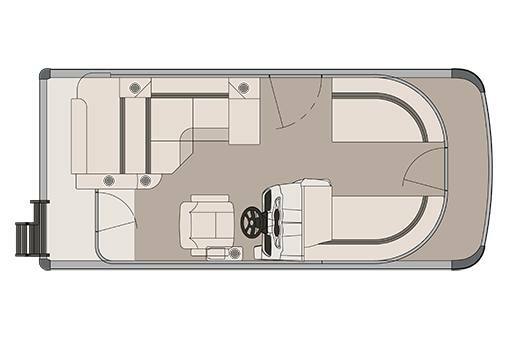 The 7' wide Luxury compact Eagle Cruise models offer the luxurious design and rigid structure you expect from an Avalon deco inspired mode with Bow benches and a dual use rear bench that offers interior and exterior seating. 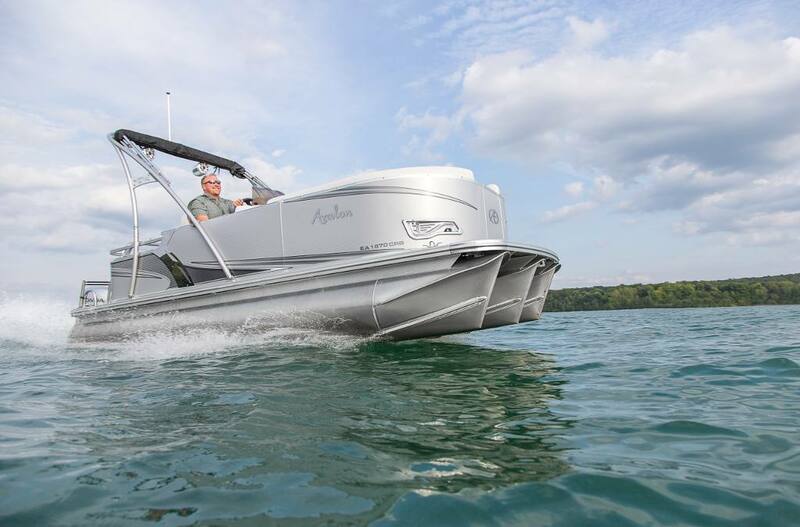 Avalon's clearly distinct, Deco 4 wall design and unique accents give this boat high end looks in a Luxury Compact design. The Retro looks of the Cadet drivers stand provides a fun driving experience. Complete your experience with the powerful Millenia Bluetooth stereo, & speakers, tilt steering and 12 volt receptacle.Everyone will enjoy The Plush interior is made with the industry's thickest Matrix 50 soft touch vinyl and features designer suspension seating that never bottoms out. All furnishings are mounted on the world's only aluminum lifetime seat frames with no wood or plastic components. 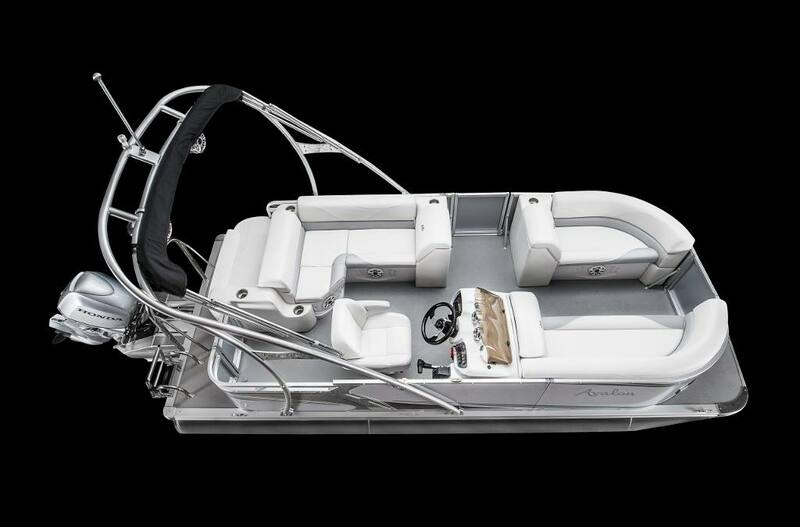 These seat frames feature the industry's only flow through dry ventilation and seat base cladding. 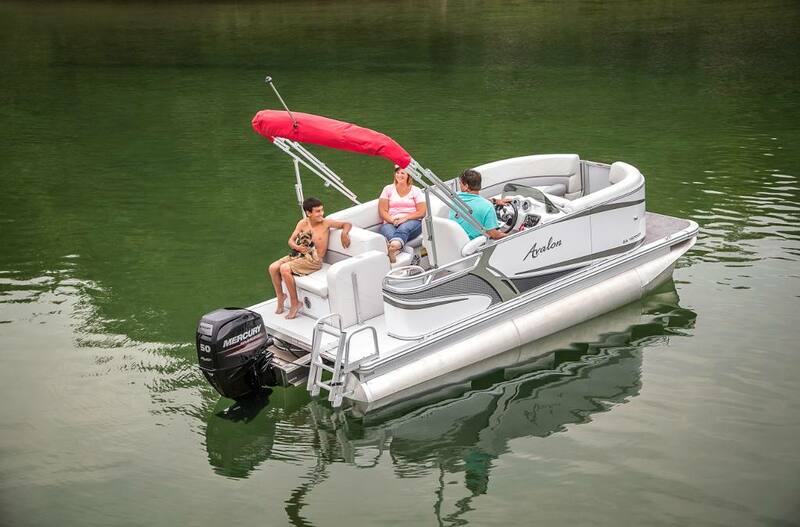 This Luxury Compact 8' wide model comes with standard twin 23" pontoons for a smooth comfortable ride. Boat Length Overall: 17 ft. 5 in.